Music Store Invoice Template (Retail) was designed specially for music company or store. 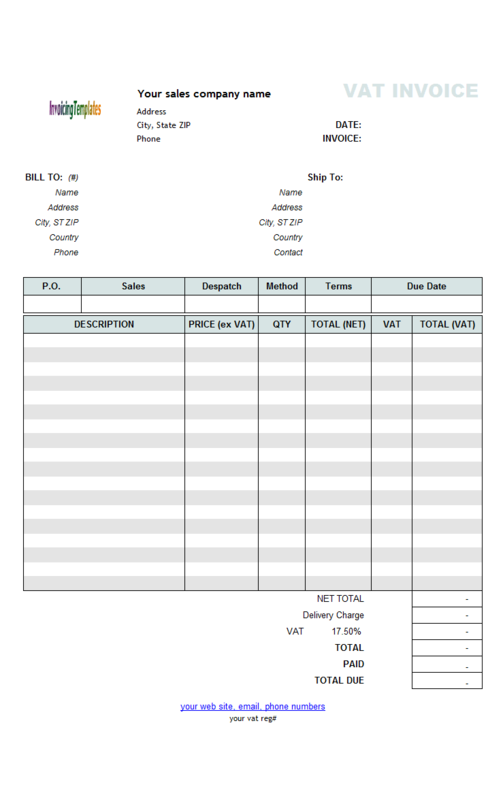 The printable form (the main invoicing form on the center of the Invoice Excel spreadsheet is same as the default sales invoice template included in Invoice Manager for Excel (namely Uniform Invoice Software), but there are also several special fields added for music store business. 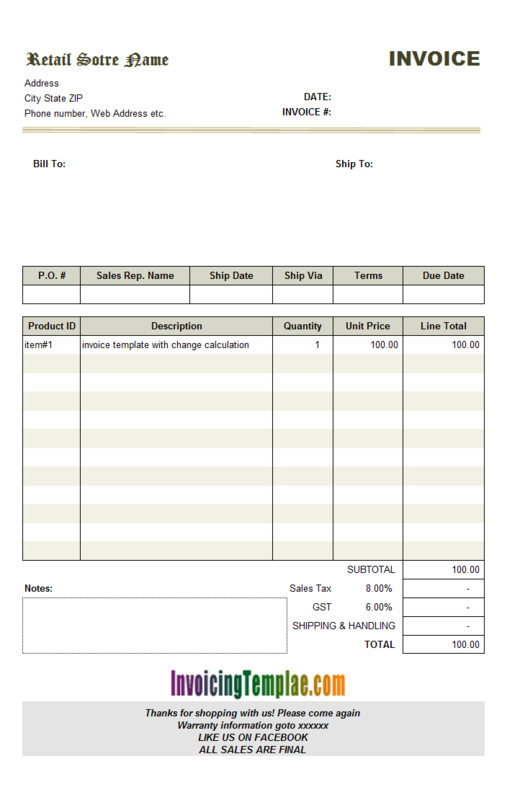 c5010 now includes the customized invoice template for the latest version of Invoice Manager for Excel. 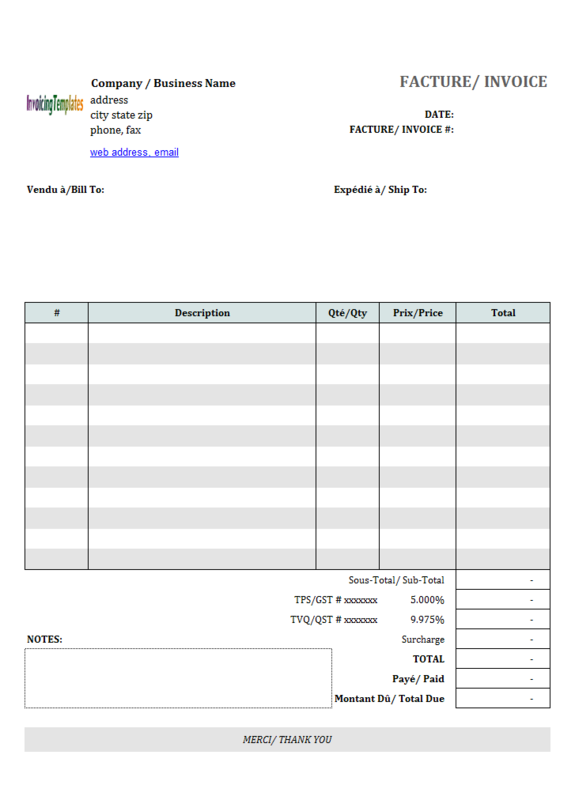 This is what you will see when you open musicstoreretailinvoicetemplate.xlsx. 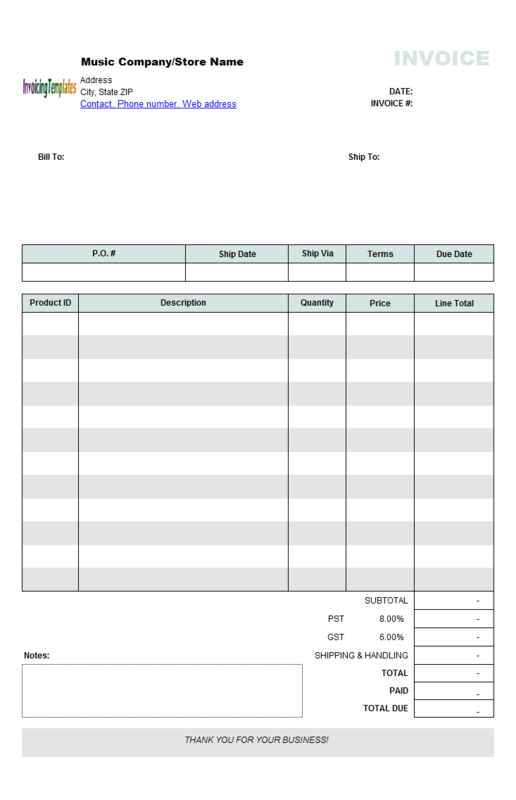 The addtional fields are implemented as custom fields. 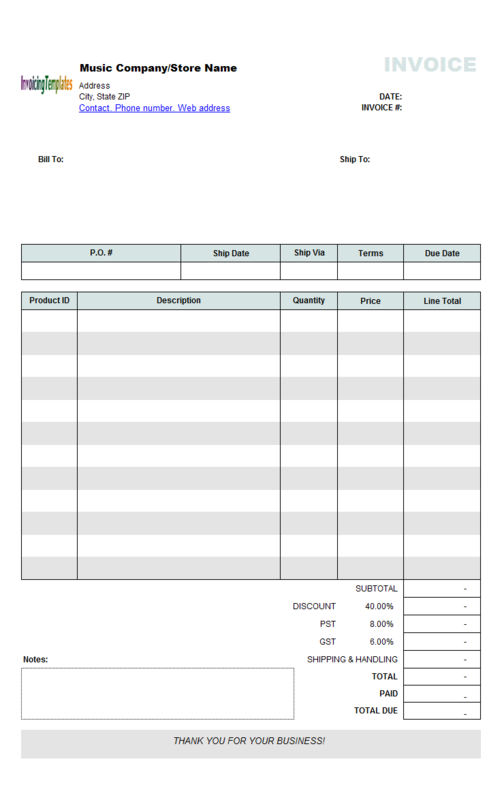 The printable form, Music Store Invoice Template (Retail), is exactly same as the default sales invoice template. 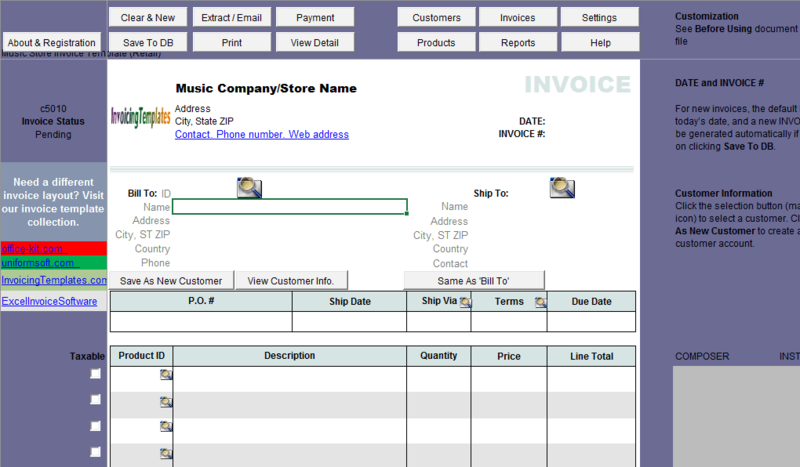 So to implement this Music Store Invoice Template (Retail) based on the sales invoice template, all you need to do is to add the 4 custom fields to the Invoice Body (InvBdy) and Product database tables, and then add the 4 columns with each column mapped to a field in the database tables. 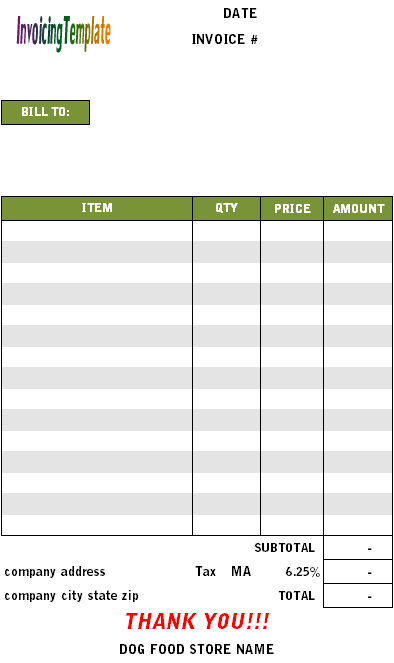 In the original version of Invoice Manager for Excel (namely Uniform Invoice Software), which is named Excel Invoice Manager, adding custom fields to database tables should be done by using a standalone utility, which is called Database Designer. 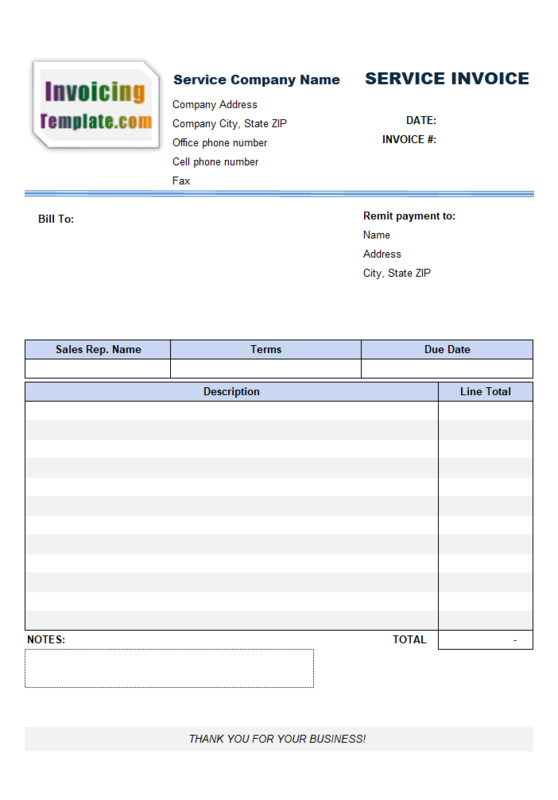 With Invoice Manager for Excel (namely Uniform Invoice Software), adding custom fields to database is much more easier. For example, to add the " Composer" field to the Product table, here are the steps to follow. 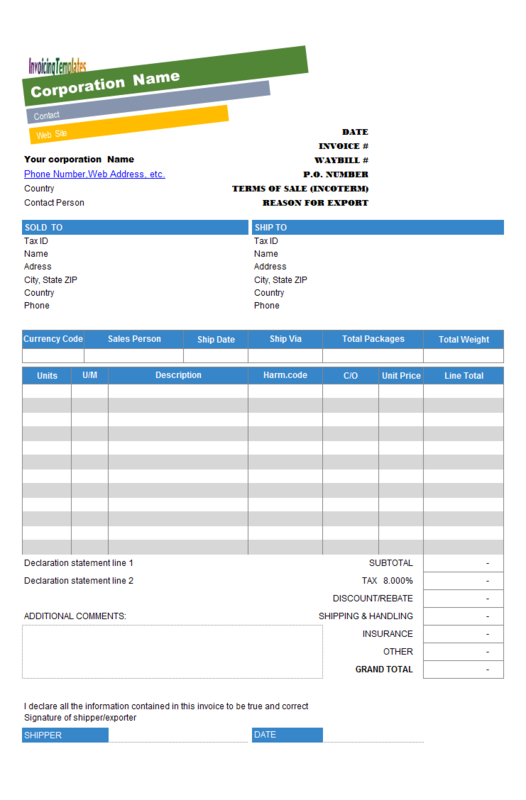 Open the invoice template that you want to customize, and make sure it is connecting with the database you want to add new fields to. 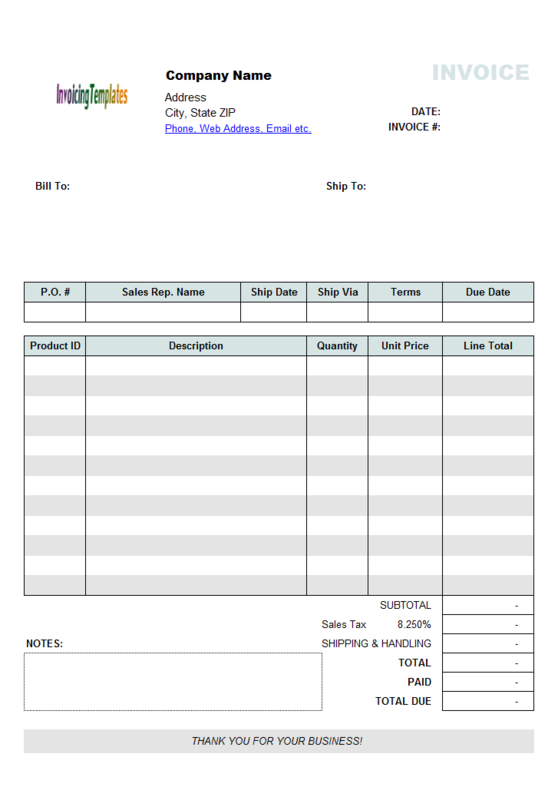 Click the Products button on the Invoice worksheet. Click the "Custom Fields" button on the toolbar. This opens the "Custom Fields" dialog box. The "Database Table" dropdown list box shows the database table currently you are working with. The "Custom Fields" grid shows all the custom fields defined for this database table. Click the "Add Field" button. This shows the "Add New Custom Field" dialog box. Here you speicify the name, type, caption and size etc., for the new field. In this example, we speicify the name of the new field as "composer", and the type as "text", the size as "100". This means that the text field will be able to hold up to 100 characters of text. 4. Click the OK button to alter the database table to add the new field. 5. 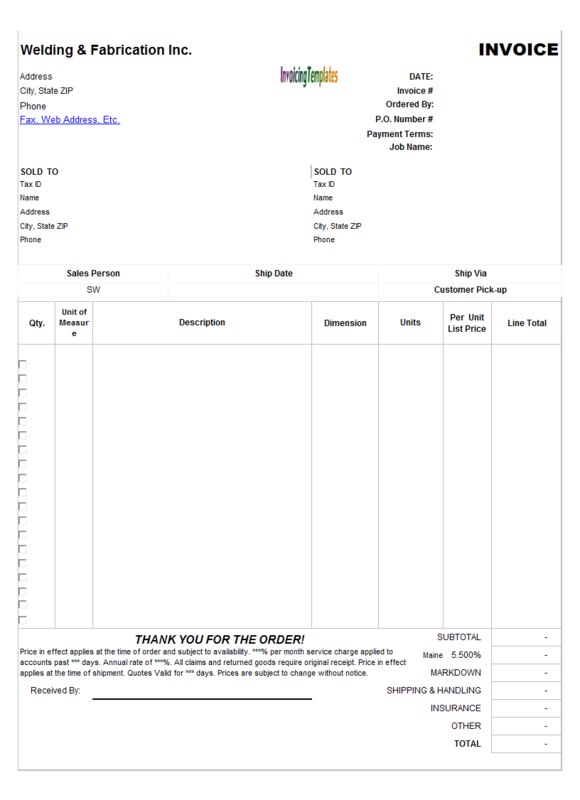 Repeat the same steps 4-5 to add 3 other custom fields, INSTRUMENTATION, PUBLISHER and COMMENT. Once all the custom fields have been added to the Products table, we add these fields to the "Invocie Body" database table too. 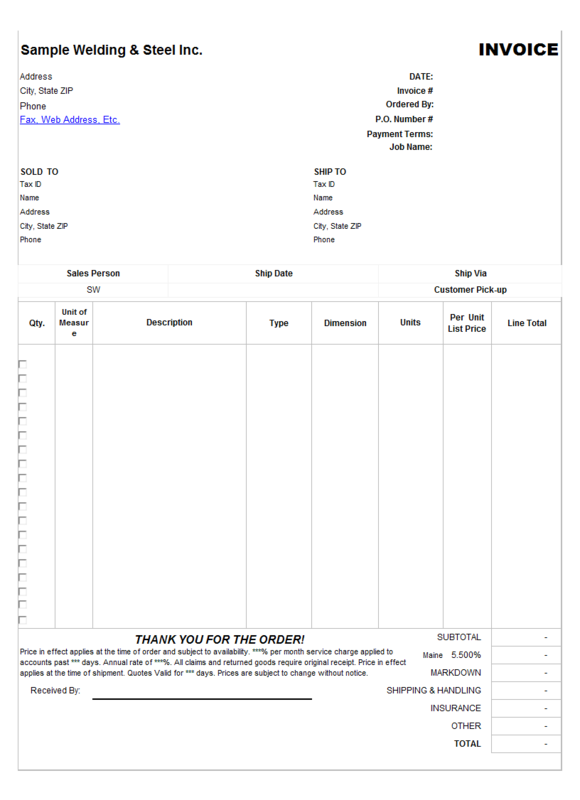 Music Store Invoice Template (Retail) is desinged mainly for the retail business. 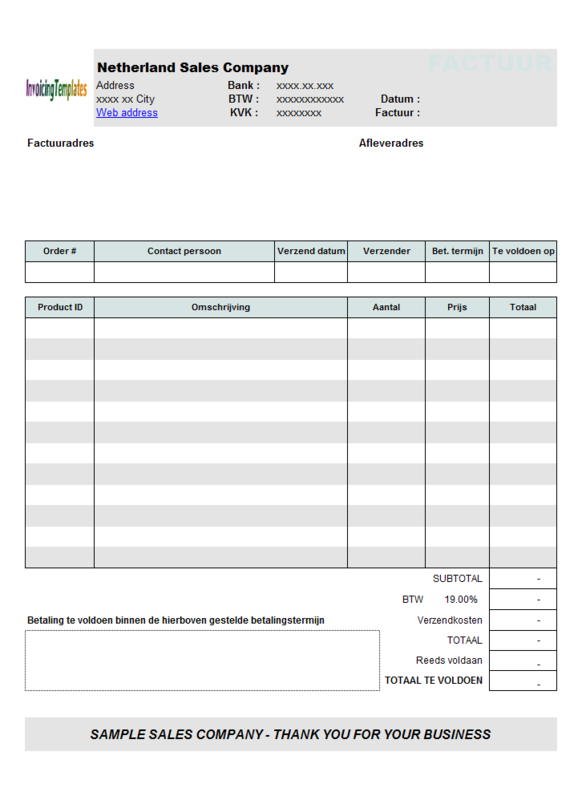 If you are doing wholesale you may need a Discount field to appear on the invoice that you issue. 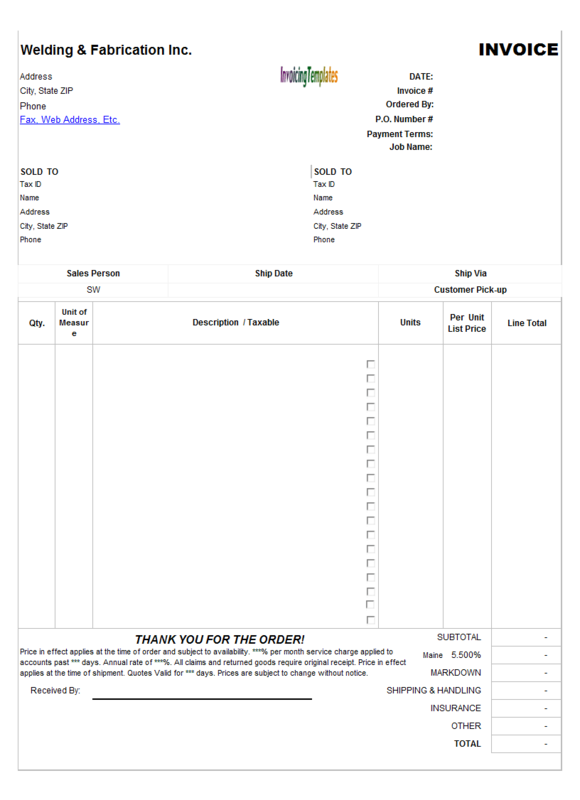 See Music Store Invoice Template (Wholesale) for a free template that you can use. 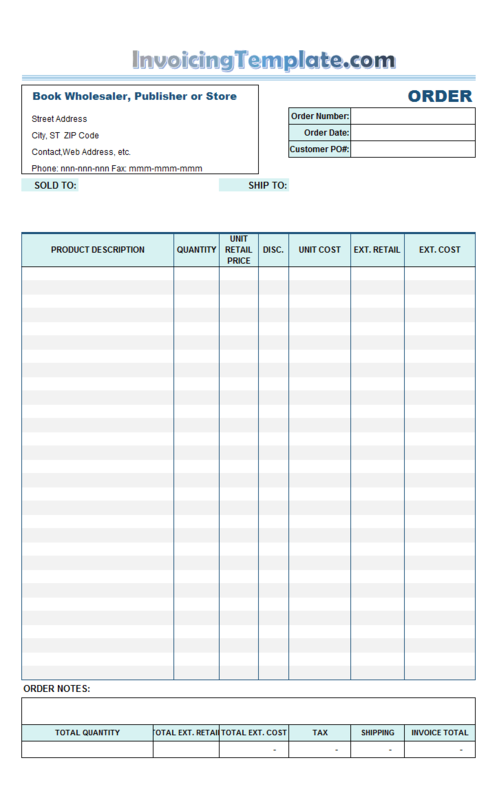 A PDF version of this template is also included for free. 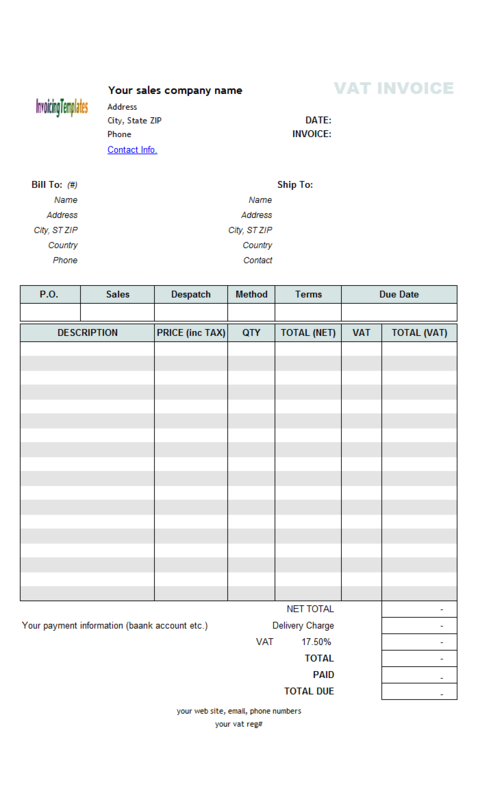 Like other form designs here on InvoicingTemplate.com, Music Store Invoicing Form (Retail) is free (offered to you at a price of 0.00USD). It works on Windows XP and all newer versions of Windows, and Excel 2007, 2010, 2013 or 2016.